As development of Make-All and the Grotesque Guardians continues to progress, this week sees the release of a number of previously-polled Quality of Life updates. Plus your usual array of fixes. 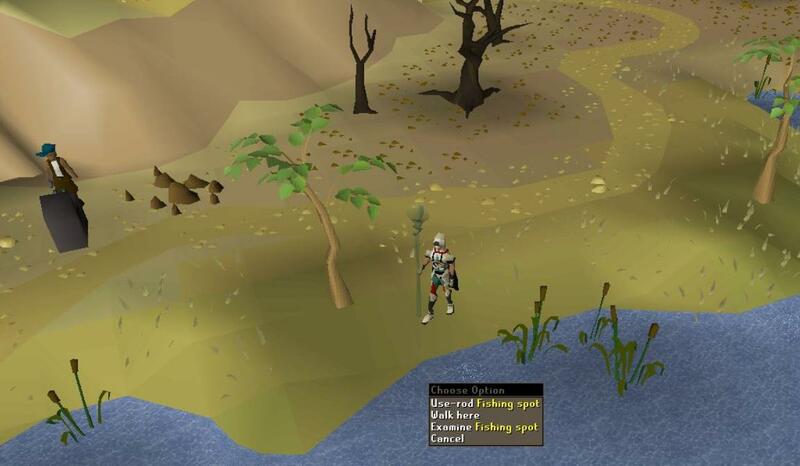 A number of barbarian fishing spots have been added to the lake with the waterfall near Quidamortem. As with fishing near Otto's Grotto you'll be able to catch Leaping trout, salmon, and sturgeon. Did you know that in some places it's illegal to introduce foreign species to new areas? I mean, I guess that happened here, because my immersion would be ruined otherwise. With the release of Fossil Island a number of changes were made to the soundbank of Old School RuneScape. This was to accommodate the new tracks being released with the content. This did have the effect of changing the sounds of all pre-existing tracks, since the soundbank is shared by all music in the game. Following player feedback since the release of Fossil Island, we have opted to revert the changes. This means that all pre-existing tracks will sound as they once did, but the Fossil Island tracks will now sound slightly different. A change has been made to the HP headbar which displays how many Hitpoints you have remaining. Each section of the bar will now represent a more accurate depiction of your remaining Hitpoints. Previously the number of Hitpoints you had remaining was inaccurately represented, particularly when low on Hitpoints. There are 30 sections to your HP bar. Each section has a number of Hitpoints associated with it. As you can see, there are 5 HP associated with the final section, but 3 HP associated with every other section. Development of the mechanics of the boss encounter has kicked off, and the design is nearing completion. Watch Mod Ghost on the design stream today (5th October) from 1pm BST until 6pm BST on www.twitch.tv/runescape! The Dragon Slayer II poll concluded yesterday, and the quest passed with a resounding Yes! You can view the results of the poll here. Next week we'll be releasing the requirements for the quest, so make sure you tune into Wednesday's Q&A next week at 5pm BST! Where we make the literally unplayable, playable. 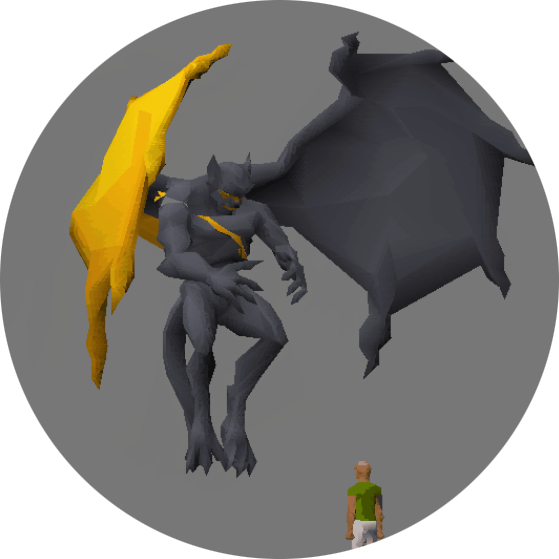 We welcome Mod Curse (@JagexCurse) to the Old School team! Make All is currently undergoing testing! Release is drawing ever closer! You can now examine the Blast Furnace's Melting pot in order to check which ores, and how many, have been added to the Blast Furnace. Historically there have been a few complaints about the inability to produce a full inventory of bars for some 'unknown' reason. It turns out that you'd just forgotten that you'd already placed ore within the Furnace! We've changed the colour of the Buchu leaf and Buchu seeds to help differentiate them from the Golpar leaf and Golpar seeds. TzHaar-Mej-Roh's Rune Store now stocks Rune packs. These packs are almost exactly like other Rune packs, but in a grey box. TzHaar-Mej-Roh won't buy other Rune packs from other stores because they're not in a grey box. Who knew? We've fixed the progress bar when loading the World map. Now it won't skip backwards. If it's going backwards is it even loading? Unloading?